The Legal Department, also known as the General Counsel’s office, is responsible for a variety of duties implemented by the agency. 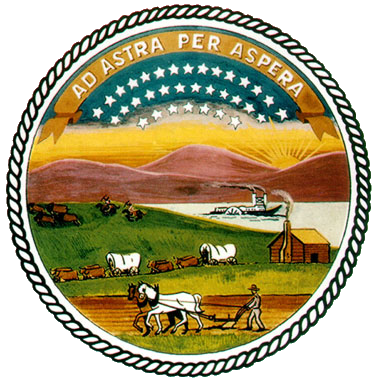 Such duties include: providing legal advice to agency head/Board during administrative hearings; handling appeals of agency administrative actions to district court and further appellate courts pursuant to the Kansas Judicial Review Act; responding to third party subpoenas; providing legal information on agency matters and testifying before legislative committees; drafting of proposed legislation and regulations; taking legal action against unauthorized/unlicensed practice of the professions regulated by the agency; pursuing collections of delinquent fines and costs owed to the agency; drafting regulations and Board policies; approving corporation names and verifying licenses of new shareholders for professional corporations; responding to requests for public records made pursuant to the Kansas Open Records Act; reviewing all agency contracts and handling of other legal matters for the agency; responding to legal questions from licensees, healthcare organizations, legislators and the public. Should you have a question relating to the information about the laws concerning the professionals licensed and regulated by this Board, please contact the General Counsel's office at KSBHA_LegalQuestions@ks.gov. Please provide your name, contact information, and a brief description of the information you wish to locate. Please be aware that we will attempt to respond as time allows, although we cannot insure that we will be able to answer every question we receive. Also, as attorneys for state agency we cannot interpret the law, give legal advice or perform legal research for individuals. We strongly suggest that you review the FAQs, statutes and regulations pertaining to the professions regulated by this board located on this website. DISCLAIMER: Any and all statements herein should not be construed as legal advice for any particular situation or the establishment of an attorney-client relationship. The Kansas State Board of Healing Arts does not render legal advice or services. Any information provided by Board staff is for general guidance. The Kansas State Board of Healing Arts disclaims any responsibility and makes no warranties or representations whatsoever regarding the quality, content, completeness, or adequacy of the information provided on a particular matter. You may wish to seek legal counsel regarding your particular circumstances for a complete application of the law to your situation.